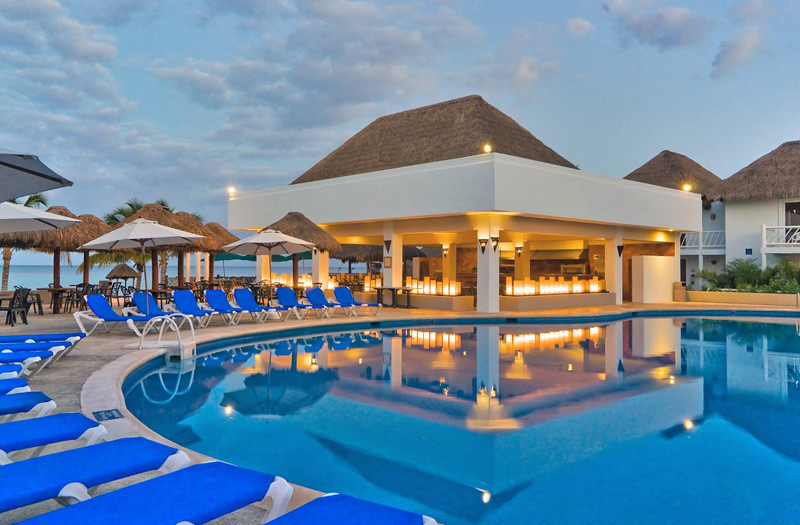 Built on the notion of unlimited fun for everyone, the Sunscape Sabor all-inclusive resort in Cozumel is perfect for those seeking everything fun under the sun. 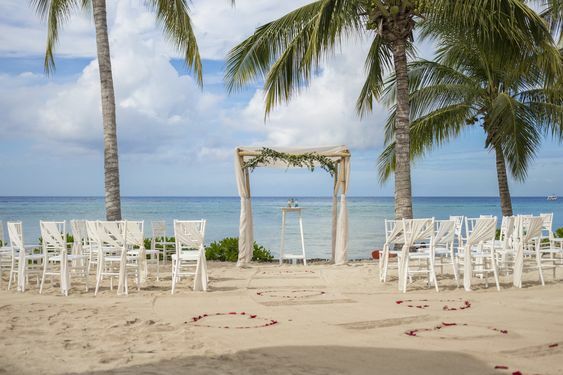 Your Sunscape Sabor wedding could utilize the leisurely beachfront or the nightly live entertainment. 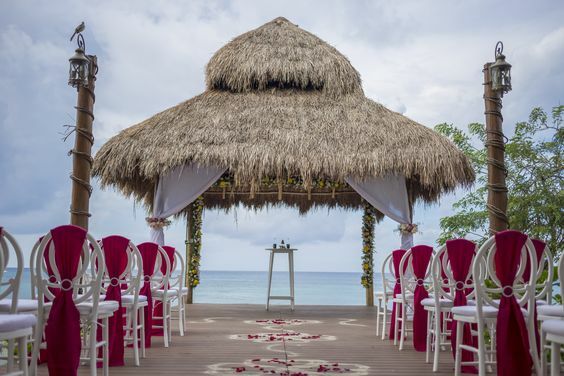 Your wedding ceremony could draw inspiration from the endless sunshine and thatched Mexican architecture throughout the resort. Pressing of bride and groom’s garments are included in all packages! The “Underwater” package offers a free 1 hour scuba lesson for the newlyweds. Dive trips depart from the on-site pier. The beach is gorgeous and private to the property. The entire resort is recently renovated, using vibrant shades of orange. We are proud to be an AM Resorts preferred partner, and can include romantic continental breakfasts in bed, spa treatment discounts, and free romantic dinners for our couples based on availability. Contact us for details. A la carte weddings and vow renewals are available. Sun Kissed package qualifies as free when 5 rooms for a minimum of 3 nights are booked in any category, or if certain category rooms are booked for a minimum of 7 nights. Upgraded packages, additional guests, and add-ons are available for an additional cost. $70- $190 average price per person per night. Rooms include private balcony or terrace and minibar. Children 2 and younger stay free. There are 218 rooms with resort views. The resort is recommended for more active guests. Beach – 300 guests max, Gazebo – 60 guests max, Private Pier – 20 (standing) guests max. This hotel allows a maximum of 2 adults per room or 2 adults and 2 children. Child’s age break is 12 and younger. Sunscape Sabor Cozumel typically hosts 1 wedding per day. The resort is located 7 miles from the CZM airport. 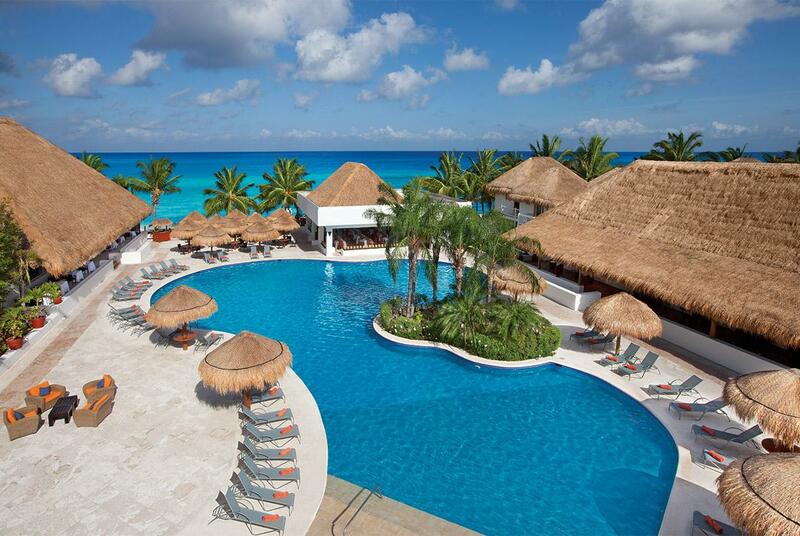 Guests may also choose to fly into Cancun and taking a puddle jumper or ferry to Cozumel. A: Wedding manager for 10 years. A: Very accommodating, small, ocean front, semi-private beaches, private gazebo that is ocean front. Q: What compliments do brides typically give the resort? 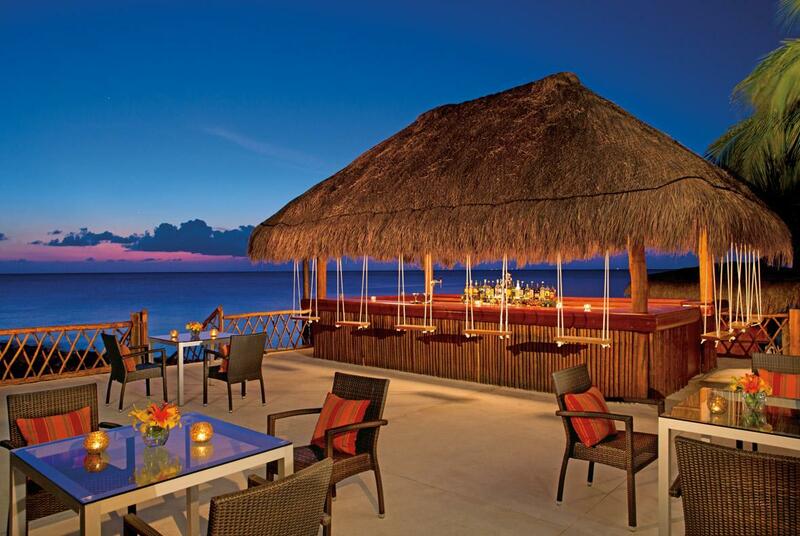 A: The staff is friendly and accommodating, and great beach spots. A: The final result, once the bride can see the dream wedding they planned.